Activision and Beachhead Studio are shutting down the Call of Duty ELITE beta today at 8pm today. 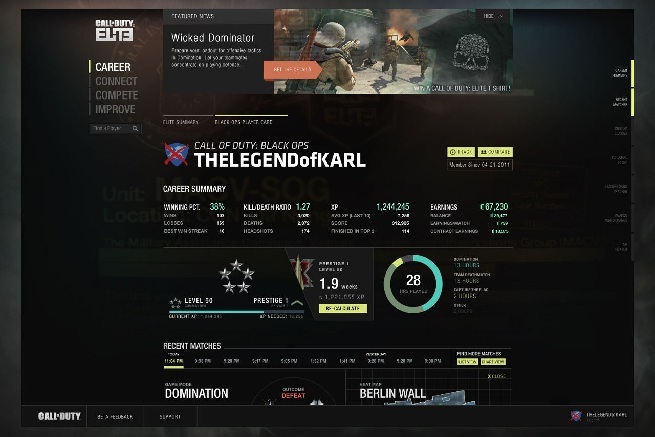 Although the Connect, Compete & Improve sections have been closed in preparation for Modern Warfare 3 and ELITE’S official launch on 8th November, access to the Career page will soon be open to all. In addition, players can be confident that all beta activity carries over when Call of Duty ELITE officially launches on 8th November.